Do you have a morning routine? Most of us do! How about squeezing in a quick 10-minute exercise set to get your blood flowing? Morning stretches can help improve productivity and have you feeling more energized from the get-go. 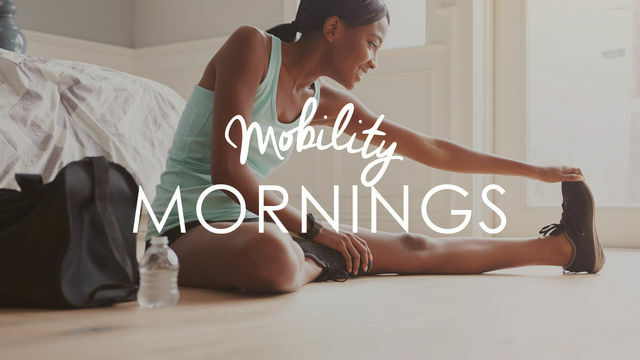 Mobility Mornings is a 4-week training program that will help rejuvenate your morning routine and have you feeling like a morning person in no time. Get your blood flowing, your body moving, and start your days right!